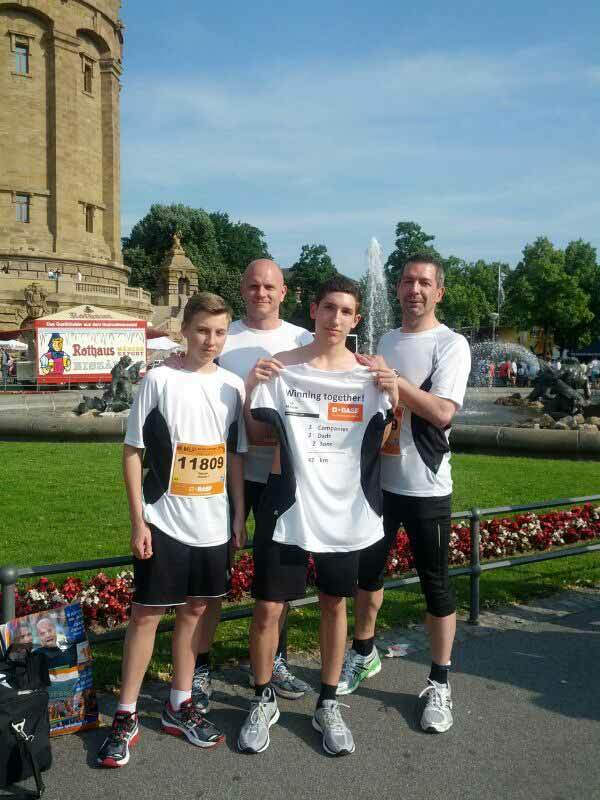 Last Saturday, the 8th of June, the 10th Mannheim Marathon took place and celebrated a jubilee. Nearly 13000 runners took the challenge of the 42 km track through the cities of Mannheim and Ludwigshafen supported by almost twice as many people along the route. Starting at dusk and finishing close to midnight the marathon’s motto is “The night of the 10000 winners”. Besides the regular individual competition over the full and half distance, many other competitions like Inline-Skate-Marathon, Handbike-Marathon, Duo-Marathon for couples also a Marathon relay for teams of up to 6 runners occurred. Unlike at previous events this time the motto inspired me to attend with a team and since BASF was one of the main sponsors it was not a tough choice. I asked my former neighbor, friend, BASF employee and user of Malvern material characterization instrumentation if he would be up to build a team with his son Maximilian, my son (and Maximilian’s best friend) David and me. 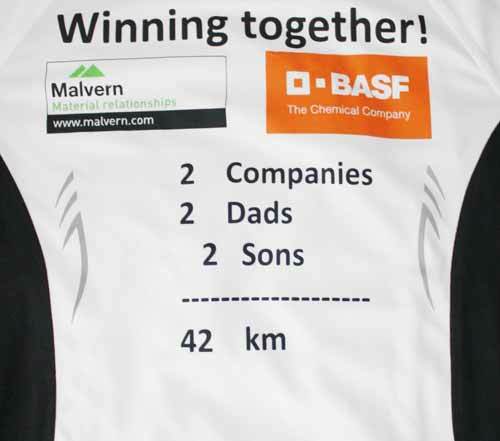 2 Companies, 2 dads, 2 sons taking on the challenge of 42 km. Everybody was very enthusiastic about the idea. Malvern GmbH generously sponsored the T-Shirts and BASF kindly agreed to use their logo as well. The team had a great day and finished the race in 3 h 56 min. Just under 4 hours which was our goal. Actually during running another analogy stroke me: Our team mirrors the business relationship, the spirit in which Malvern collaborates with customers like BASF and both sides taking advantage from the vast application knowledge. Winning together!